At 864 pages, this monumental and comprehensive publication maps the ideas, processes, life and times of one of the most important painters of the late twentieth century. 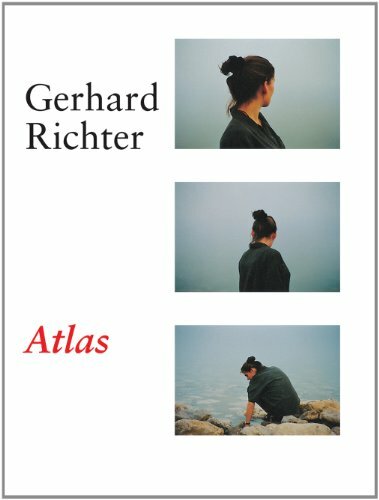 Conceived and closely edited by Gerhard Richter himself, Atlas cuts straight to the heart of the artist's work, collecting more than 5,000 photographs, drawings and sketches that he has compiled or created since the moment of his creative breakthrough in 1962. The images closely parallel, year by year, the subjects of Richter's paintings, revealing the orderly but open-ended analysis that has been so central to his art. Offering invaluable insight into Richter's working process, this encyclopedic new edition, which completely revises and updates the rare, out-of-print 1997 edition and includes 147 additional plates, features 780 multi-image panels, each reproduced full page and in full color. Having left East Germany in 1961, where he had already established a reputation as a Realist painter, Gerhard Richter went on to attend the Dusseldorf Academy, striking out on a radical new path and changing the history of painting as he looked to photography for a way to release painting from the political and symbolic burdens of Socialist Realism and Abstract Expressionism. From pictures of family and friends to images from the mass media, Richter's photographs-sometimes found, sometimes original-have provided the basis for many of his paintings, often re-emerging in a luminous, monochromatic palette, and falling ambiguously between documentary and historical painting.